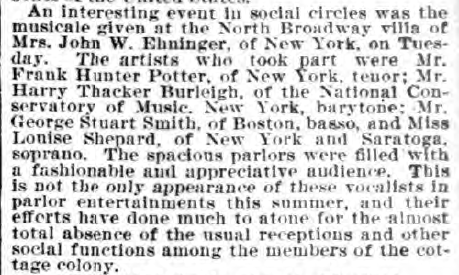 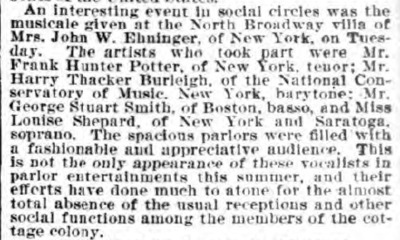 An article on events in Saratoga Springs, including the performance by Harry T. Burleigh at the villa of Mrs John W. Ehninger with three other performers, including Frank Hunter Potter, tenor, George Stuart Smith, basso, and Louise Shepard,, of New York and Saratoga, soprano. 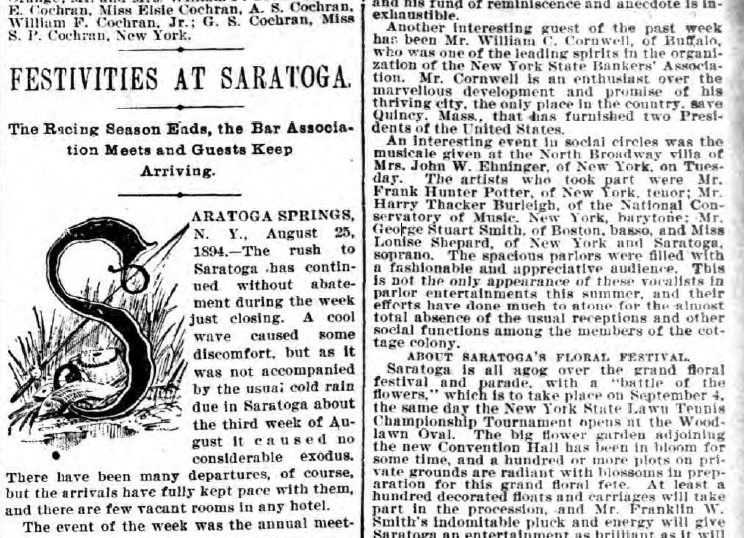 “Festivities at Saratoga. 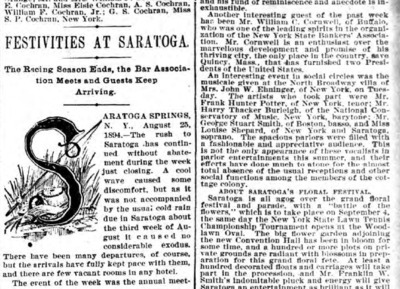 THe Racing Season Ends, the Bar Association MEets and Guests Keep Arriving...,” Skidmore Saratoga Memory Project, accessed April 24, 2019, http://ssmp.skidmore.edu/document/347.